2 density asymmetrical external heel counter for optimal comfort, fit and stability. Asymmetrical loop lacing for better ball contact. K-Leather for durability, lightness and glove-like fit. Re-engineered dynamic Predator featuring Dynamic PowerPulse for more Power, Swerve and Control. Moulded insole with AdiPRENE in the heel for comfort. Split outsole for optimised weight and flexibility. TRAXION studs for adaptable grip on firm terrain. The worlds' top football boot gets tuned for maximum swerve and power. Sports a look inspired by the UEFA Champions League.. Built for maximum swerve and kicking power on firm ground. A brand new colourway specifically designed for the 2009/10 Champions League!! This boot features all of the same technologies as the rest of the Predator 9 series, but with a striking new aesthetical Champions League Star imprinted into the boot. The Upper is made from a super soft K-leather, used for added durablility, lightness and a glove like fit and has been combined with new SmartFoam technology which adapts to offer increased power or shock absorption on ball strike as your needs change during a match. The inlay of the boot has a new exchangeable Dynamic Power System for more flexibilty and increased shooting power and the Dynamic PowerPulse technology in the sole of the boot alongside the special hi-tech foam in the forefoot upper material make these improvements possible. The PowerPulse element filled with tungsten powder, which shifts weight toward the point of impact, enables players to put more power behind every shot. The hi-tech foam in the Predator® element ensures added power, more swerve and better ball control. 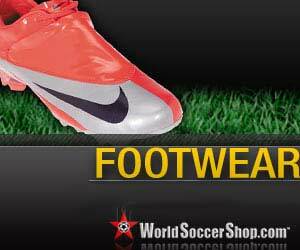 A split outsole for this Predator optimizes the weight and flexibilty of the boot. X-Traxion Fixed stud system for adptable grip on firm to hard terrains. The adidas Predator Champions League Star boot will be worn during the 2009/10 Season Champions League by Players such as Xavi Hernandez, Dimitar Berbatov and Robin Van Persie amongst others.